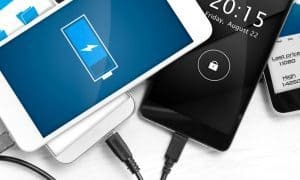 Your Chromebook and Android phone or tablet are meant to work together. 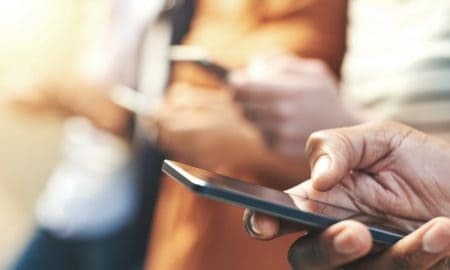 Here is how to connect them so you can unlock your Chromebook and sync texts. Android phones and Chromebooks compliment each other quite nicely. Connecting the two give you the option to unlock your Chromebook when you’re Android is near it, and send and receive texts on your phone and desktop. 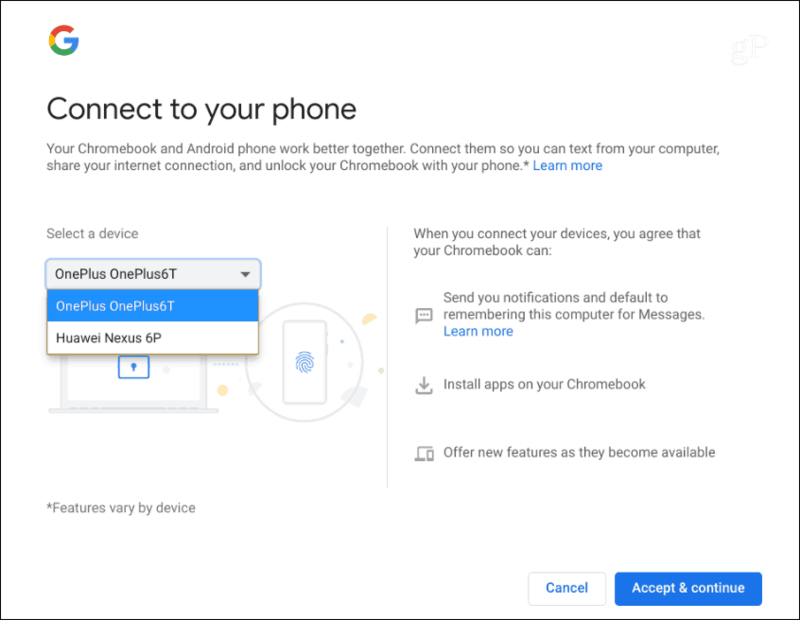 When first setting up a new Chromebook, you are given the option to connect your phone. 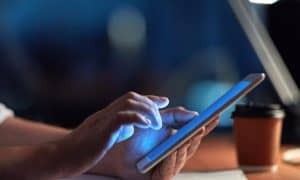 But even if you have had your Chromebook for a while you can connect/disconnect it at any time. Here’s how to do it. 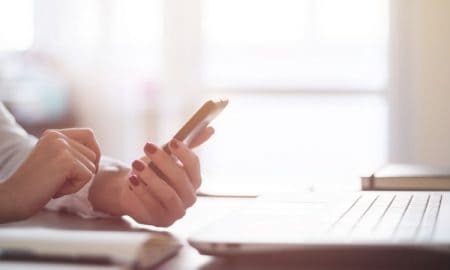 Note: To connect your phone, you will need to have a device running Android 5.0 or higher and Bluetooth enabled on your Chromebook and Android device. 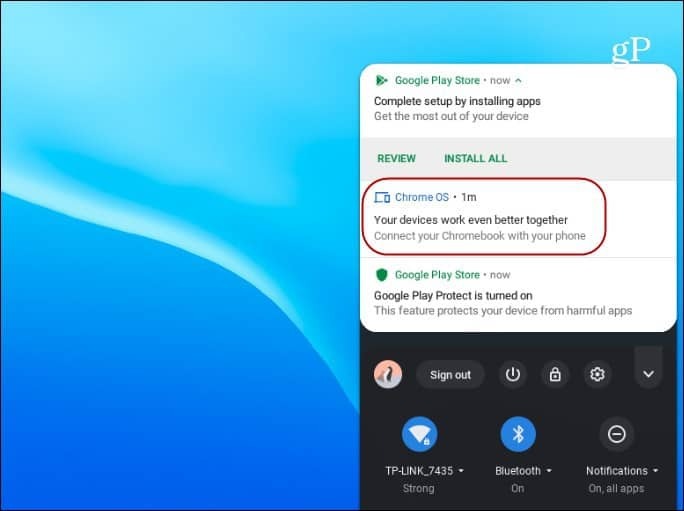 If you didn’t set up your phone during the setup of your Chromebook, you should see a notification urging you to connect your phone. 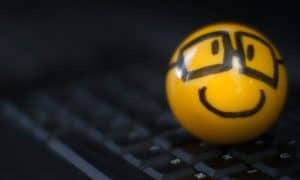 Clicking that will kick off the wizard and you can get started. 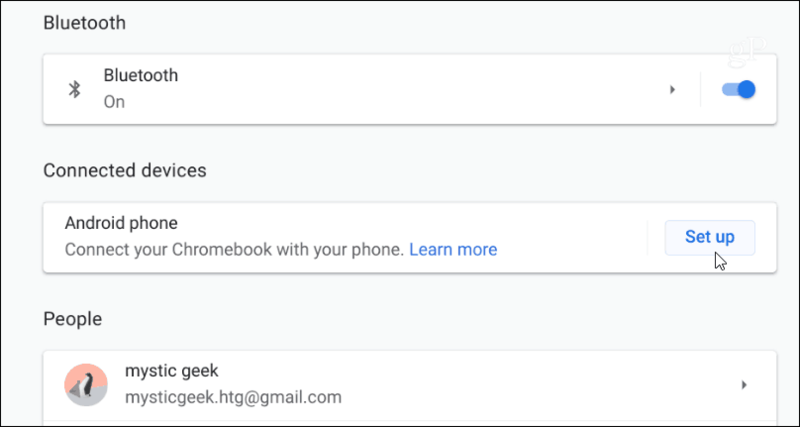 You can also start the process by heading to Settings > Connected Devices on your Chromebook and click the Setup button. Then choose the phone you want to connect. If you have more than one phone like I do in my example below, make sure to choose the correct one. Then click the Accept button. You’ll then be prompted to enter your Google account password. After that, you will be connected. 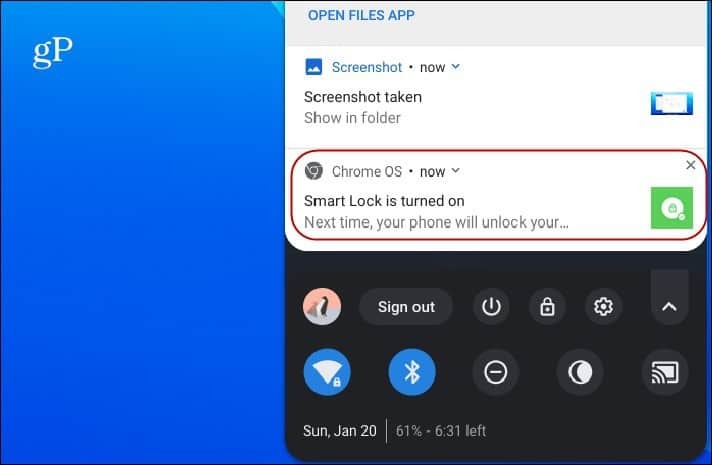 You will receive a notification on your phone as well as on your Chromebook letting you know the Smart Lock feature is enabled. 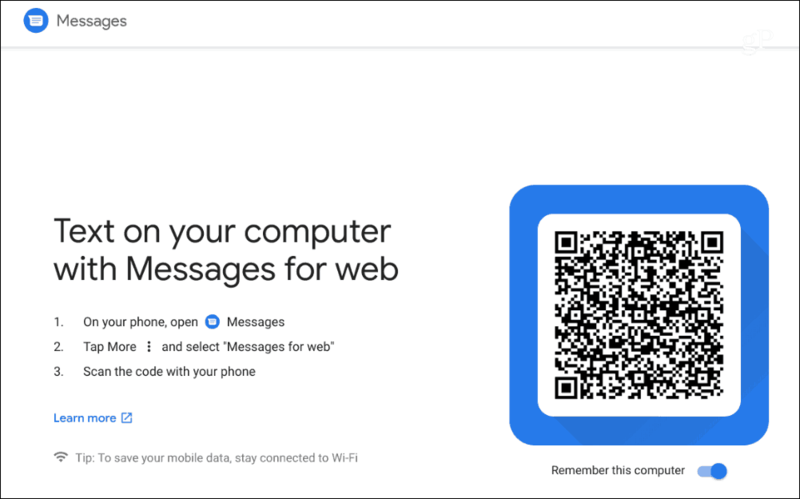 Now that you have your phone and Chromebook connected, you will be able to unlock your Chromebook as well as send and receive text messages from your phone or Chromebook and vice versa. You will need to set up each feature, though. 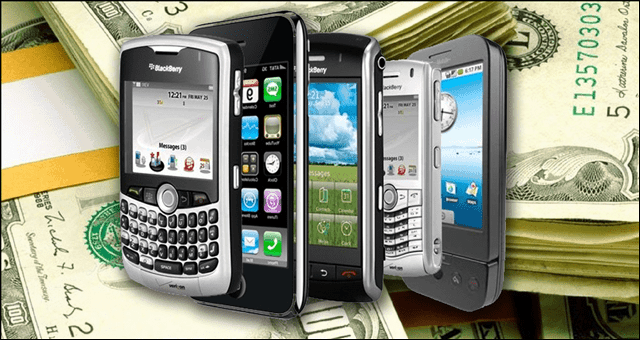 Related Article: How About A $118,000 Android Smartphone? Head to Settings and turn each feature on and follow the on-screen instructions. 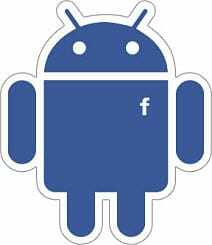 The process of syncing your text messages is almost identical to syncing texts from Android to Windows 10. You turn the feature on, scan the QR Code and you’re good to go. There is a bit of set up for unlocking your Chromebook, too. But it’s really a matter of turning it on and following the on-screen instructions. 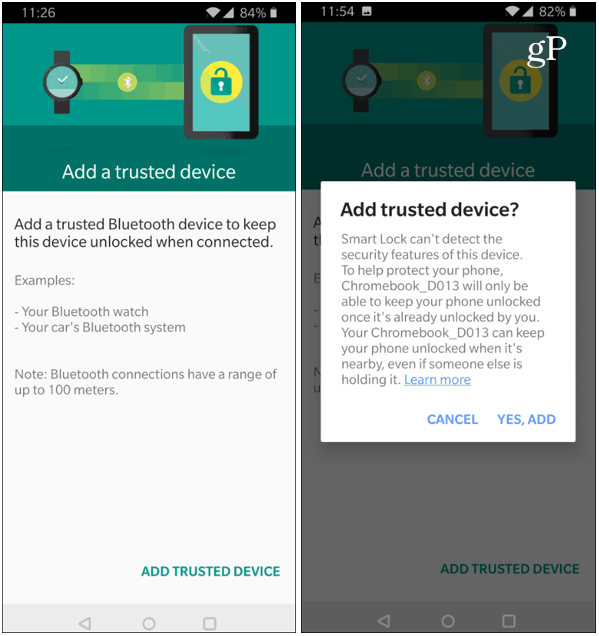 For more, check out our article on how to use Smart Lock to unlock your Chromebook with Android. 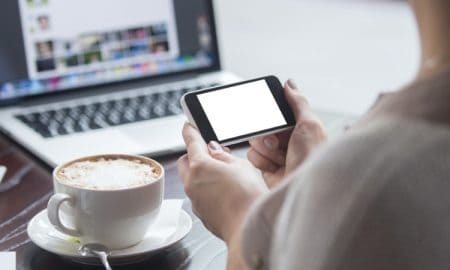 Once you have everything connected you can go into Settings and have your phone unlock your Chromebook or unlock it and sign into your Google account as well.